By 1943 Auschwitz is the biggest black market in Europe. The garrison has grown epically corrupt on the back of the transportations and goods confiscated, and this is considered even more of a secret than the one surrounding the mass extermination. Everything is done to resist penetration until August Schlegel and SS officer Morgen, after solving the case of the butchers of Berlin, are sent in disguised as post office officials to investigate an instance of stolen gold being sent through the mail. Their chances of getting out of Auschwitz alive are almost nil, unless Schlegel and Morgen accept that the nature of the beast they are fighting means they too must become as corrupt as the corruption they are desperate to expose. Even if they survive, will it be at the cost of losing their souls? 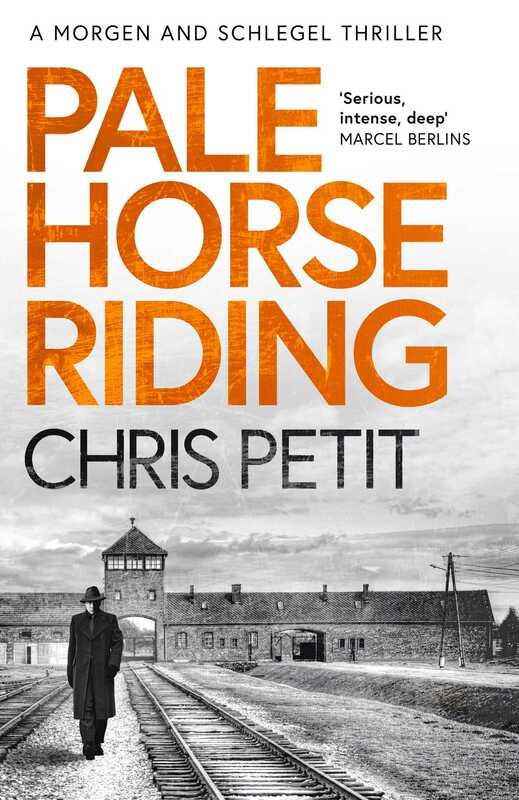 Chris Petit has written a trio of acclaimed “beyond black” political thrillers covering a serial killer operating in sectarian Northern Ireland (The Psalm Killer); dirty money in World War II (The Human Pool); and terror, arms trading and the bombing of a civilian aircraft (The Passenger); as well as The Butchers of Berlin which also features the characters Schlegel and Morgen. He is an internationally renowned filmmaker.